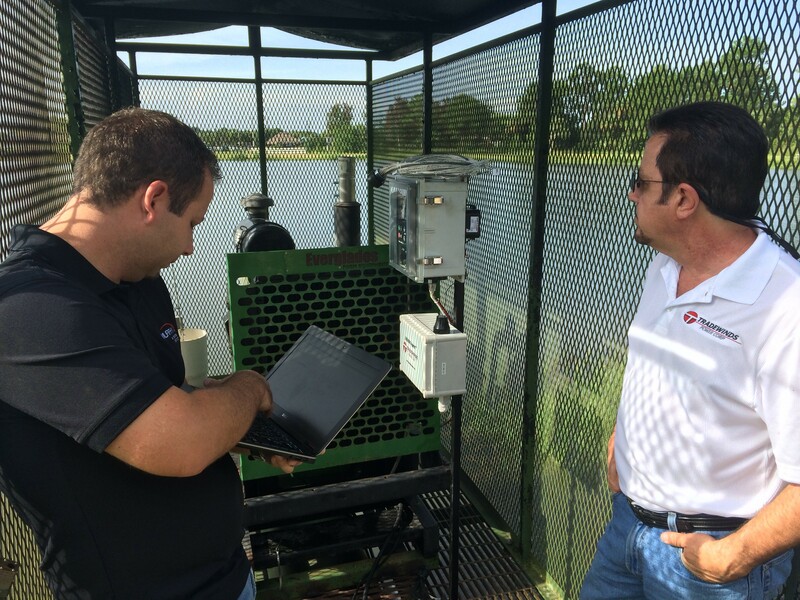 IAS recently had the opportunity to work with Enovation Controls and Tradewinds Power Corp to add remote monitoring and control capability to a throw-0ut pump for a customer who has the responsibility for managing the level of water reservoirs on their land. Robbie Captain of Enovation Controls is making a final adjustment to the ML2000 Controller while Bill Rodriguez of Tradewinds Power Corp looks on. The pump is a mechanically controlled John Deere driven pump. 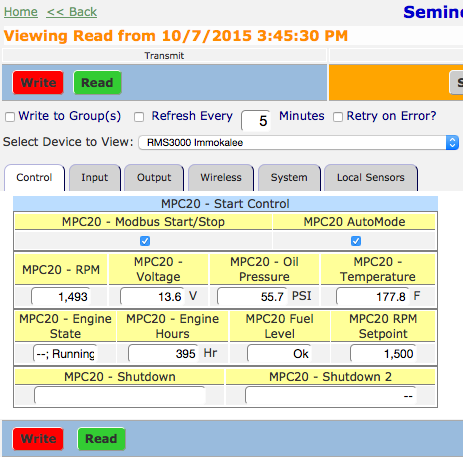 The simple HarvestWatch control page for an ML2000-based system shows all critical engine parameters, and allows simple remote control. The customer can remotely start and stop the pump, receive text alerts when the pump starts or stops, and track historical data.